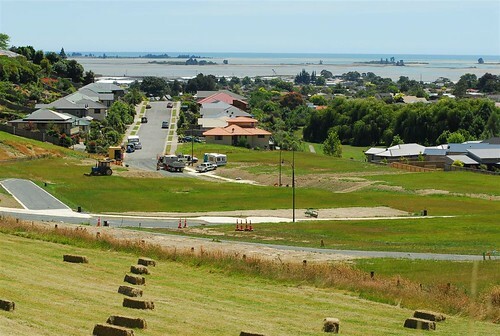 Richmond was recently one of the fastest growing suburbs in New Zealand. Its central location on the Waimea Plains puts it on the map. Recognised for the great schooling that is available here, many families have moved into the area in recent years, and this has been complemented with many immigrants finding the Tasman Lifestyle (that is the new council byline after all) just to good. Richmond Mall is the largest mall in the Top of The South and its open 7 days with a great selection of local and national retailers. In the last year the Tasman Council has revitalised the central part of Richmond to create a fabulous mini village green atmosphere, such that many ofhce and shop workers relax over a bite to eat at Iunchtimes there. The main road complements the mall with its own selection of established and new players. Richmond is served by a bus schedule that keeps its passengers in regular schedule with Stoke and Nelson itself. There‘s a choice of two ways to get to Nelson from here. You can take the faster route over the Bishopdale hill directly to town, or opt for the popular and scenic route that take you along Rocks Rd past Tahuna Beach and the waterfront. Taxis are avialable in many locations. With a good selection of eateries in the mall and in town Richmond is also lucky enough to be blessed with a fantastic array of Cafes / Cellar Doors / Eateries at many of the Wineries close by.